If there is one thing that Toronto definitely needs more of, it’s desserts parlours. There are some amazing ones I’ve visited throughout the world, and we just don’t have enough of them. What we do have, however, is some high quality grab-and-go treats, especially in the gelato/ice cream and chocolate department. Average price between $5-20 per person. Soma Chocolate: There are a few locations but I can’t help but get an affogato or Mexican hot chocolate from here every time I’m in the Distillery District. Tsujiri: There will probably be a lineup, but if you love matcha, it’s worth every minute. Death in Venice Gelato: There’s a lot of nepotism on my end for this one, but Kaya is a genius with flavours that you should definitely try once in your life. The Tempered Room: I’ve already mentioned them in the bruch category, but they’re great for dessert too. Butter Avenue: The macarons here give Nadège a run for her money. It’s a slightly different vibe and their quality is impeccable. Through Being Cool: This is a vegan café but it might take you awhile to notice! These guys have scrumptious baked treats and a rotating selection of giant doughnuts that are so good, you won’t even miss the butter. Bakerbots Baking: I seriously associate this place with childhood happiness, even if I didn’t discover it until I was 25. 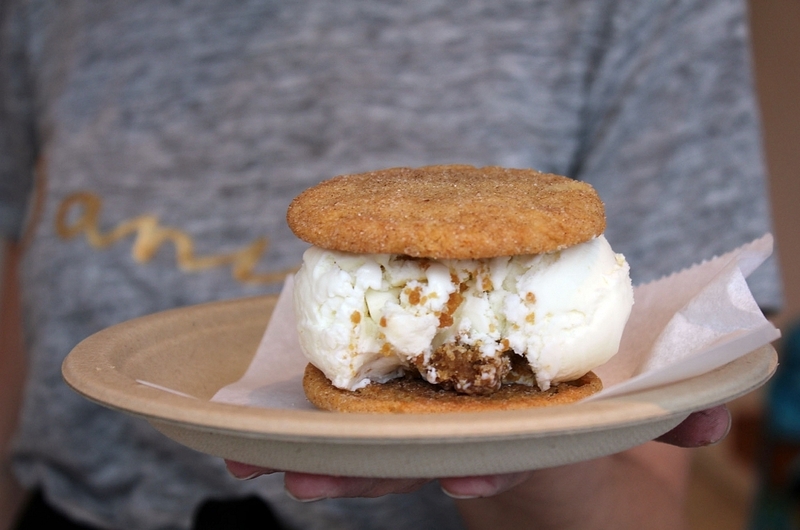 Get a half cookie ice cream sandwich if you can’t decide. Kekou Gelato: Given that my friend proposed to his now fiancee here, I knew it had to have been have decent. The predominantly Asian flavours (think about the ice cream flavours you get after All You Can Eat sushi only, way better) are nostalgic and high quality. Nadège Patisserie: Not as magical as it once was, but still worth a stop for a macaron or little sandwich. Bang Bang Ice Cream: If you’re on Instagram, there’s no reason why I need to promote this place. It’s very fun, and the line is very ridiculous.